Marksbury (left) getting sworn in with fellow officer Sean Donelan at a Fort Thomas City Council meeting by Police Chief Mike Daly. FTM file. Two men with Fort Thomas ties have been inducted into the NKU Hall of Fame. The Northern Kentucky University’s Department of Intercollegiate Athletics announced its 2017 Hall of Fame Class today, which includes Fort Thomas Police Officer Matt Marksbury and Highlands High School graduate Derrik Moeves. Moeves graduated from Highlands in 2002 and Marksbury was hired in September of 2015. NKU will hold a formal induction ceremony at BB&T Arena on Thursday, Feb. 23 at 6 p.m. Tickets to the event are $25 per person and can be purchased by contacting Jeff Baldwin at (859) 572-6632 or baldwinj5@nku.edu. Marksbury was a three-time team captain who earned ABCA NCAA DII All-America Third Team to go along with GLVC and North Central Region Pitcher of the Year honors in 2007. He currently ranks second all-time in complete games (17), fifth in innings pitched (269.0), tied-seventh in victories (21), eighth in strikeouts (184), and 10th in ERA (2.71). Marksbury closed his career with a 21-10 record while helping the Norse capture two GLVC titles (2004 and 2006) during his playing days. A two-time All-GLVC selection in 2004 and 2005, Moeves currently ranks second all-time at NKU in career-strikeouts with 259. He was an ABCA NCAA DII All-America Third Team member in 2004, while also garnering North Central Region Pitcher of the Year en route to leading Northern Kentucky to an appearance in the NCAA Regional Tournament. 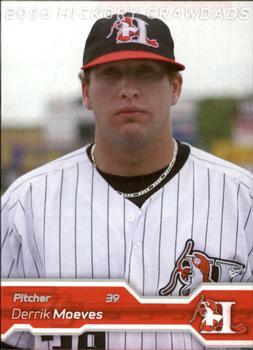 He earned one All-North Central Region nod (2004) before being drafted by the Pittsburgh Pirates in the ninth round of the 2005 MLB Amateur Draft. Beattie is the most decorated soccer player in NKU history, earning two Daktronic National Player of the Year honors in 2008 and 2010 and NSCAA National Player of the Year in 2010. Both the NSCAA and Daktronics bestowed all-american status on Beattie all three seasons between 2008-10. He was the 13th overall selection in the 2010 MLS Draft, being selected by Toronto FC. Beattie currently plays professionally for Cork City FC in Ireland, where he won the 2016 FAI Cup. Gastright’s name litters the NKU record book following a successful career that included a nod as the GLVC Player of the Year (2001) among numerous other all-region and all-conference championships. With Gastright, Northern Kentucky won four GLVC championships and two Great Lakes Regional Championships, while advancing to the NCAA DII Final Four in 1999 and a DII Elite 8 appearance in 1998. She still holds NKU’s single-season record for kills at 600, a total set during the 2000 season, and ranks third for career kills with 1,702. Northern Kentucky appeared in three NCAA Division II tournaments during Honigford’s career as a Norse, including a trip to the national semifinals during the 1986-87 season. The Norse also won two GLVC titles during that time. Honingford is currently ranked in the top-10 of Northern Kentucky’s record books in four categories, No. 5 in scoring average (14.3 ppg), No. 7 in scoring (1,482 points), No. 6 in field-goal percentage (.541) and No. 10 in free-throw percentage (.796). Listerman was a vital component of four Northern Kentucky men’s basketball teams that played in the NCAA Division II tournament, including the 1995-96 and 1996-97 teams that were national runner-up. With Listerman in uniform, Northern Kentucky posted a 103-23 record for an .817 winning percentage. The 103 wins are the second-most by any Norse in program history. He currently ranks in the top-50 on NKU’s all-time scoring list and top-20 for career free-throw percentage. Rothbauer’s name litters NKU’s softball record book. She holds the single-season record for runs (48), hits (82), triples (9) and games played (62) for her sensational 2005 campaign, when she helped Northern Kentucky set an NCAA softball record – regardless of divisions – with 55-consecutive wins. Rothbauer is also the career leader in batting average (.372) and triples (18). As of her selection to the Hall of Fame, Rothbauer’s name sits in the top-10 of nine different career-record categories. She was a two-time All-American, earning the distinction in 2005 (First Team) and 2006 (Third Team). The 2010 men’s soccer program provided Northern Kentucky University with its third NCAA Division II National Championship, when it defeated Rollins College, 3-2, in snowy conditions in Louisville, Kentucky. Beattie was named the NCAA National Championship Most Outstanding offensive player and teammate Paul Andrews was tabbed the most outstanding defensive player.